With two pre school children on my hands one on one time is a rarity. I do my best doubling up on my love, guidance and shouting but nothing beats a bit of one on one. 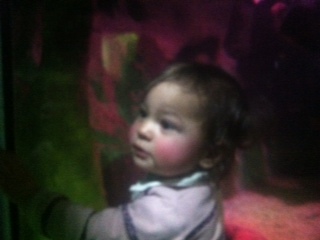 Last week Rose’s Grandparents (Gabba and Grand-ma-ma) very kindly offered to have her for a few days. It was a great opportunity for Theo and I to have some boy time. Get a few beers in, football, pizza. Well perhaps not, I’ve got a hunch that Theo won’t be into such pursuits. He’s already regularly seen wearing pink socks and glittery tops! So instead of being an Alpha-male father and son tag team it was decided to hit central London, ending the day at the Aquarium. We jumped onto the river boat service from Canary Wharf to Embankment. Theo was fascinated by the large group of Japanese tourists who jumped on at Tower Bridge, took a million photos then jumped off at the next stop. Theo finally got a full day of my full attention which felt brilliant and the guilt I often get when I have to also look after Rose was gone. throughout the day he happily chatted away gibberish and I answered in a similar manner. We stopped off at my favourite little dumpling place in Chinatown for a quick, spicy energy boost. An ancient lady who reminds me of ET sits in the window all day rolling her delicious dumplings at manic speed. The place is a bit wonky around the edges but does lovely home cooked food and as we all know pre packaged / fast food is now akin to playing Russian roulette! We then got a black bean and sesame roll from the Chinese bakery to keep us going. The streets were still packed with Chinese New Years decorations, lanterns and dragons stared at us from high above, the latter threatening to blow fire on us at any moment. Theo’s face told me that his senses were going into overdrive the colourful sights and sounds overloading his small mind. We walked the back streets towards the BT tower and stopped off near Fitzroy Square for a coffee and Theo’s first introduction to the rather yum Portuguese custard tart. Wondering back down through Soho I reminisced about hedonistic nights spent as a student and newcomer to this wonderful city. I felt happy to have these memories but even happier to now be in an older place. As we walked across the bridge (I think Hungerford) Big Ben struck 4 o’clock. I thought Theo would be really impressed, but he was more interested in the guy selling dodgy hotdogs. Sorry Theo that’s a definite no-no! Outside the London eye street performers put gold into the normally lifeless paving stones. Gold statues,singers and dancers performed for the tourist herds. One performer dressed like a comedy satan, was suspended in the air with a walking stick in one hand but nothing else. It looked like he was sitting on a bar stool. But there was no stool there. How did he float in the air, I really didn’t know but It was certainly worth the pound that I flipped into his hat. 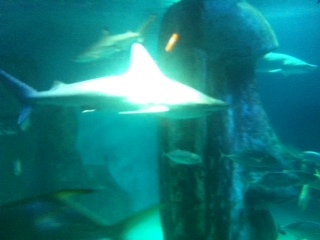 For myself and Vicki it was £40 entarance fee into the Aquarium. Of course I had a wee moan as I often do when it comes to money issues. At least Theo was free. I felt sorry for a family in the queue who had about 4 kids. I think we’ll cross it off our list of possible birthday party venues. Once inside Theo was in heaven, the look on his face was worth the £40 alone . All the usual fishy suspects were there, as well as the headliners, Sharks and large game fish such as Kingfish and Barracuda. The penguins didn’t look very happy. They looked like a shamed gang standing outside the headmasters office with their hands in their pockets. I also didn’t like seeing the majestic turtles slowly swimming in their tank. They reminded me of the elephants that you see in the Zoo. Sad looking. In the aquarium there’s a large open top tank that holds many fish, in particular large rays that seem to be quite tame, they swim along and put their heads right out of the water begging to be touched. I suddenly noticed that literally every fish in the tank (and there was many) had come over to were we stood. Wow I’ve got quite a way with fish I thought. But no, it was not my skills as Doctor Doolittle, but rather Theo had dropped his pastry in the tank causing a fish, feeding frenzy. We slowly shuffled away looking down at the floor whilst whistling. All in all a lovely day. What is it with children and sleep? Why do they often refused to go to sleep? You ask, ‘are you tired?’ the reply always a firm ‘no!’. Bedtime can resemble a 15 round WBC heavyweight boxing match. They put up such a fight so as to go the distance, when all you want is a quick, clean 1st round knockout! A Similar scenario ensues in the afternoon. Unless she’s being pushed in the pram or driven in the car, Rose fights her tiredness till the very end. Theo hasn’t yet entered into this contest but perhaps he will once he makes the weight. Tiredness becomes such that it makes both children a little crazy. You can almost picture them pulling out clumps of hair and foaming at the mouth. And to add to their craziness, just before falling asleep they become like Popeye after eating his spinach. Full on hyper, running around letting off the very last bit of steam before they succumb. This issue has crept up on us like a mime artist with stealth and now is driving us to distraction. I’m considering taking away Rose’s afternoon nap, but this time is so valuable to Theo and I. It gives us a little respite and one on one. One of the reasons I’ve not been super strict in the evenings is that if I put them down too early they won’t see their mum when she returns from work. Given the chance I could sleep for 3 days straight (after a load of gigs and heavy pre children partying and once slept for 48 hrs straight), so why is it that young children fight it? 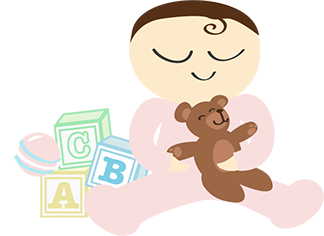 Babies generally love the sleep, like cats purring day and night in their nest of content. Toddlers fight it but teenagers love it. The teenage sleep pattern generally lasts until you get a proper job. Then you become a parent and a good nights sleep is a mere dream. This wee problem is nothing a few teary nights of strict routine won’t solve. Rose has just gone to stay with her grandparents for a few days, it will be interesting to see how things go. 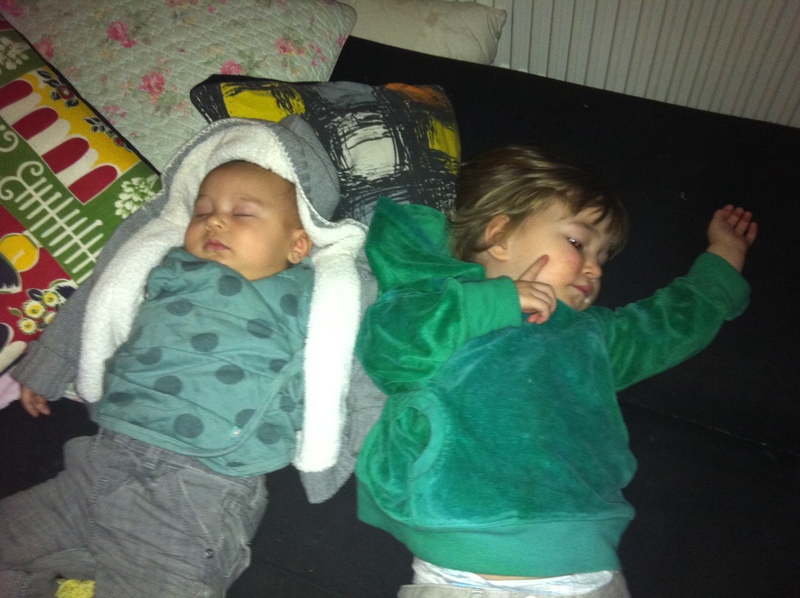 But the question remains, why do toddlers often have a crazy battle against their tiredness? I’ve even heard of people giving their toddlers sleeping tablets. This is obviously absolutely crazy and no sane person would resort to such a stupid act. But the fact that people do tells me what a drastic issue this can be. Do check her site it’s full of amazing home decor, diy and beyond. 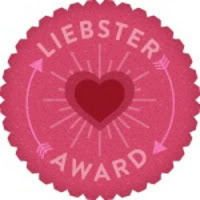 The Liebster Blog Award is given to upcoming bloggers (usually who have yet to reach 200 followers), by fellow bloggers who have received the award themselves and in turn nominate their favourite blogs. As i’ve been nominated, I must now answer 11 questions and post 11 random facts about myself. 1. Can you ride a bike? 2. What was the first concert you ever went to? 4. Favourite rainy day activity? Reading the Sunday newpaper and all the supplements in one go. 5. 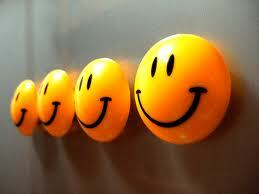 Person you would most like to be for one day? The pope, make him rock n roll for a day, take him to a gay club in soho. 6. If you ever had the chance to travel to the moon, would you? I make music but can’t sing. 9. Nicest beach you have ever been to? 11. Have you ever been on TV? Yes a BBC gardening program when I was at primary school. I’d love to see it again, I haven’t got a copy as we didn’t own a video at the time. I was also asked to ‘DJ’ for S-club 7 on CD-UK but said no thanks. 2. I’ve DJ’d in 8 different countries, the biggest audience was over 2000 people. 3. I once won a skateboard in a magazine competition by entering a picture by my older sister and saying it was mine. So now I’m supposed to nominate 11 blogs but as i’m a new kid on the block i’ve not yet delved into all that’s out there or the blogs i’ve been reading already have over 200 followers or this award. So my nominations are as follows…. Expatlogue – Expat adventures which remind me of living away from the UK. Also enjoy reading about the experiences of an inter-racial marriage. Emmaand3 – In her ‘about’ section Emmas sounds extremely busy, i’m glad she has time to write her blog though! 1. Whats the worst thing you’ve ever done as a child? 4. Most interesting moment in history? 5. Whats the meaning of life? 6. What cartoon would you be? 7. If you could change anything about yourself what would it be? 8. Olympics or World cup? 9. Have you ever done anything illegal? 11. What needs to change? I did something to my back on Thursday whilst lifting up the boy. When I awoke yesterday morning and tried to move excruciating pain shot about me – a pair of hot ball bearings having an internal race. I screwed up my eyes saying harsh words. Looking after the children was going to be tricky / nigh impossible. I also had a gig later in the evening which was now looking a no go. There was no one else to look after the children and being self-employed, if I don’t work I don’t get paid. As luck would have it the doctor had an opening that morning so after gobbling a couple of painkillers and a hit of deep heat off I hobbled. The Doc told me that as it’s a recurring back issue I can expect it to flare up now and again particularly during the winter. He wrote me a prescription for some knock out pain relief and sent me on my way. The codeine done what it said on the tin, it was a huge relief. With the pain held back, I could get on with my normal duties. We are extremely lucky in this country to have the NHS. Of course it has its critics but we have a free health care system often taken for granted. 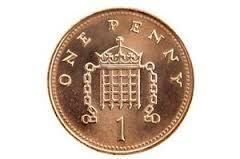 It certainly wasn’t the day that Rose swallowed a 1p coin. It was a parents worst nightmare, she was coughing and choking and blood dripped out of her nose. Even as I sit writing this I can feel the panic in my stomach that I felt that day. After X-raying her the doctors at the hospital broke the news, it wasn’t good. The coin was lodged awkwardly and she would have to be operated on immediately. It would be a general anesthetic operation. I was almost in tears as I thought about my poor little daughter and what she was going through. I looked at her, so tiny and helpless, exactly how I felt at that moment. As we waited for a bed to come available she feel asleep. I held her tightly and tried to be strong. When she awoke it was obvious that something had changed. She looked serene and some sort of normality had returned to her soul. Her face had regained colour and she’d lost the panic. I immediately spoke with the doctor who quickly arranged for another X-ray. The X-ray results were the equivalent to getting 6 numbers on the lottery. The coin had decided to continue on its unorthodox journey. Whilst she slept she must’ve relaxed, thus releasing the coin. Operation now cancelled. I can’t even describe the relief, happiness and elation that I felt and if possible my love for my girl was enhanced. I was so grateful to all the doctors and nurses at the hospital for the fantastic care that they gave. Amazing people who do a fantastic job. It’s shame that so much of their precious time is taken up every weekend by idiots who drink too much then expect others to pick up the pieces. That’s not to say i’ve been an angel. When I was a student I broke my arm after falling off the top of a car (I was trying to car surf). But you’re allowed to be a hypocrite when you’re a parent, aren’t you? Hopefully my children won’t be as accident prone as I was when I was a kid. When I was 3, I tried to ‘ride’ down the stairs on a bat-mobile trike, breaking a leg and also broke an arm after falling out of a window into a dustbin. Needless to say that coin eventually made its way out and became known as the ‘poo-poo cash’.